home → Loans → Car Loans → A Bank Car Loan: The Cheapest Option? A Bank Car Loan: The Cheapest Option? Getting a bank car loan will have several key advantages over other loan options, but it is not always the cheapest choice. Bank car loans usually have better terms than dealer loans. However, dealers have more incentives to offer you a low interest rate, and this typically makes them cheaper over time. Bank car loans typically hold the better hand in relation to the loan terms. Loan terms can apply to any number of long-term arrangements in your contract, such as prepayment penalties, delinquency fees and collections procedures. Banks usually have lower prepayment fees than dealers; so, if you pay off your loan early or refinance the loan in the future you will not face as large of a fee. Delinquency fees may occur if you are late on your car payment. Typically, these are much greater if your loan is from a dealer. A dealer will usually send your loan into collections much faster than a bank. When a loan goes into collections, you will see your credit score drop rapidly. Dealers have a number of incentives to offer you a lower interest rate. They would like to make the car sale, first, but they would also like you to elect their financing option. In this way, the dealer can profit twice through one sale. In order to entice you toward this situation, dealers will often offer lower than prime interest rates on car loans. They may even offer to knock a few thousand dollars off the sticker tag if you finance through them. Ultimately, achieving a lower interest rate will make your loan much less expensive, and dealer options are worth considering. There are more lenders available than just banks or dealers. Online car lenders are very popular today because of the way they expedite loan contracts and quotes. You can search for online car lenders very quickly, often finding guaranteed loan offers despite your credit score. You may also seek independent financier options. For example, there are many non-finance companies that extend car loans to make a profit. Both online lenders and independent lenders tend to serve the part of the market that cannot get a car loan through traditional means. Bad credit borrowers may find loans here, but they will usually come with higher interest rates and worse loan terms than traditional offers. Depending on your unique credit history and loan needs, different options will be better for you. A bank loan is best for a person with very good credit who can secure a low interest rate through this most traditional lending source. 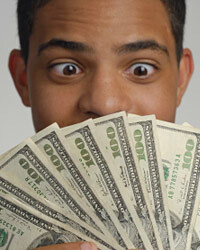 A dealer loan is best for a person with fair credit and a high income. If you have a high income, you can opt for a short loan with high monthly payments. This means you will not have to be as concerned with your loan terms and can capitalize on a very low interest rate. An alternative loan is best for a person who cannot otherwise find a car loan and is purchasing a less expensive vehicle. Tips On Negotiating Car Insurance For WomenWhat is a Compound Option?What Insurance Typically Offers the Cheapest Motorcycle Rates?How Does an American Option Work?